"The animals had survived one of the most destructive fires in memory, finding comfort in each other in the doorway of a home." To date, more than 160,000 acres have burned in California's deadly Carr Fire, one of the most severe in the state's history. But while the full extent of what has been lost in the blaze is yet to be known, from it something beautiful has blossomed. Amid the fiery disaster, an unlikely friendship formed. While battling the wildfire near the city of Redding, a crew from the Grass Valley Fire Department was surprised to find an odd pair of victims who'd somehow managed to persevere through the blaze together, forging a unique bond in the process. "In the doorway of a home, they found a cat and a chicken huddled together for safety and support," the fire department wrote online. "The animals had survived one of the most destructive fires in memory, finding comfort in each other in the doorway of a home." Both the cat and the chicken had suffered burns in the fire, so rescuers quickly set about getting them to safety. 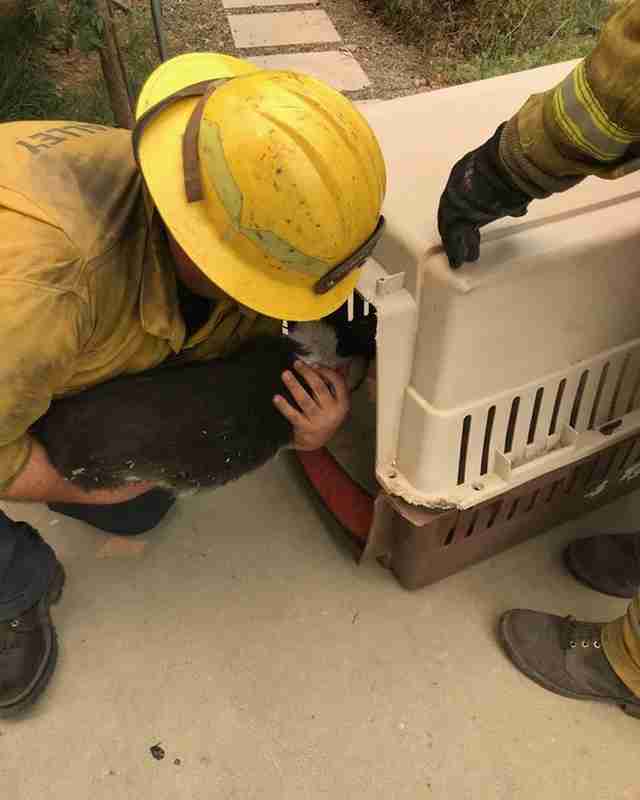 "Grass Valley firefighters found a dish and provided the two newfound friends with fresh water as other firefighters searched for a way to contain the pair for the SPCA; they were able to find an animal carrier," the department wrote. From there, the duo was transported together to a local SPCA for treatment. They'd been saved just in time. "The firefighters checked on the pair a day later; both the cat and chicken are expected to make full recoveries from their injuries," officials wrote. 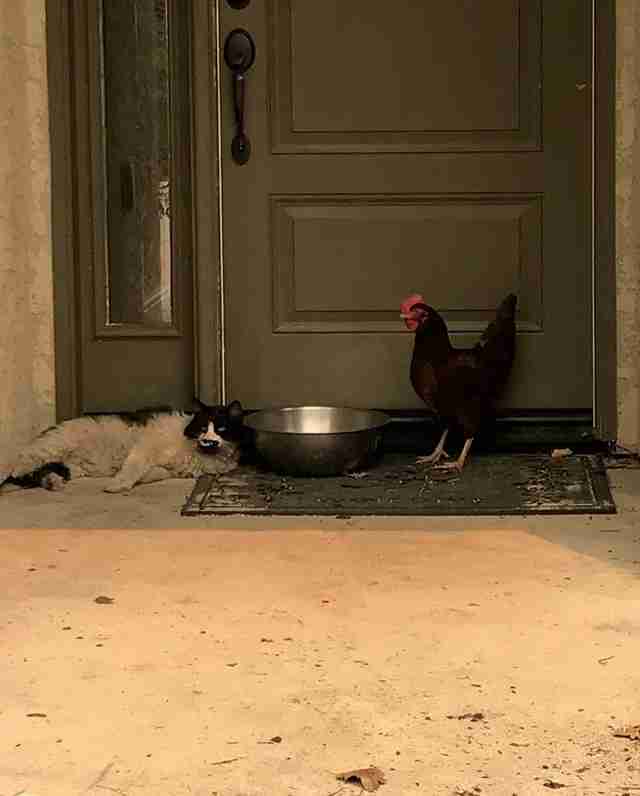 It's unclear how the cat and chicken became acquainted, or what their journey was like leading up to being discovered. But there's no doubt that the story of their friendship and survival has elevated the spirits of a community which needed it. However, their story doesn't end there. 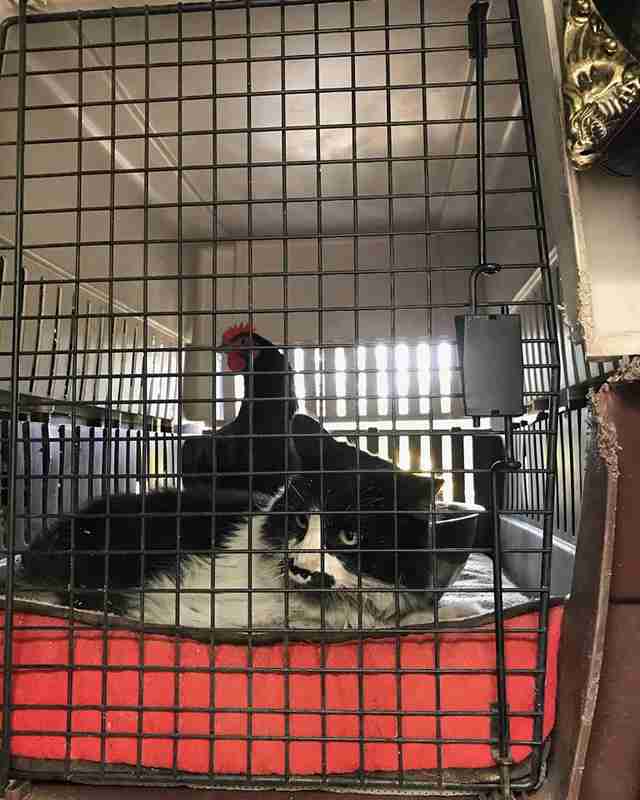 The Grass Valley Fire Department confirmed to The Dodo on Monday that the cat and chicken have been "reunited with their families." 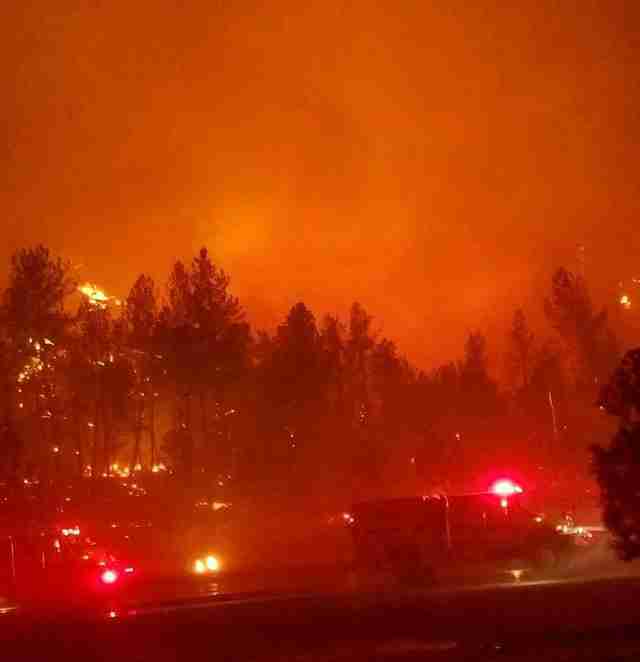 To help those affected by the blaze, donations can be made to GoFundMe's Carr Fire Fund.